What? Burn the CD? Literally? 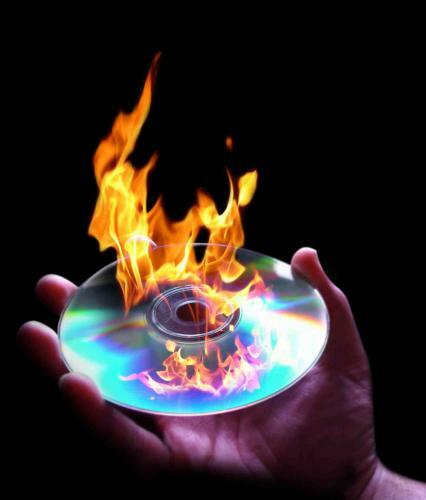 While technically, you could burn a CD … its much more convenient to write data to the disc as opposed setting it aflame. In today’s posting, we will take our readers through the process of downloading their AudioAcrobat recordings and burning to CD using a free and easy to use piece of software known as iTunes. Note: For a professional Windows-based solution, we recommend checking out Nero. Before one can burn their AudioAcrobat recording in iTunes, the first step is to make sure that the file resides on the hard drive of the computer on which burning will be performed. Before one can import to iTunes, the software must first be opened. Once opened, it is helpful to create a new playlist for which the project to be burned can be imported to. Using the drag + drop method is by far the easiest method of importing your MP3 file(s) to iTunes. A helpful trick that we use is to resize the iTunes window on your screen so that you can visually see the file on your desktop/in its containing folder and your iTunes playlist at the same time. Click and drag the file from its location to your iTunes playlist and iTunes imports immediately! Before a CD can be burned, or receive written data from a computer, it must be inserted into the writable disc drive resident on the computer our readers will be using to write the files. After the disc has been inserted, our readers will want to select the Playlist to be written to disc from the “Playlists” section in the sidebar on the left. Fact: The slower you burn a CD, the less chance for errors and higher chance of maintaining quality. We’re imagining that most of our readers plan for the disc to be playable in the common CD player. “Audio CD” will be the option to select for this to take place. If our readers wish for there to be a fluid transition between tracks on the CD, make sure “none” is selected from the “Gap Between Songs” drop-down menu. iTunes does allow for a gap of up to five seconds, if so desired. When satisfied with the iTunes Burn Settings, our readers can begin the writing process by clicking “Burn“, and away we go! Coming up next … How to identify a file’s location using iTunes!